For better or worse, Instagram has become an essential part of the barbering game. While it’s a great tool for showing your work and connecting with clients, there’s also a dark side. Some barbers are so thirsty for Instafame they try to game the system. Shady moves like buying followers or posting other barbers’ work are all too common these days. But Chicago’s Nour the Barber isn’t just some Instafamous barber. 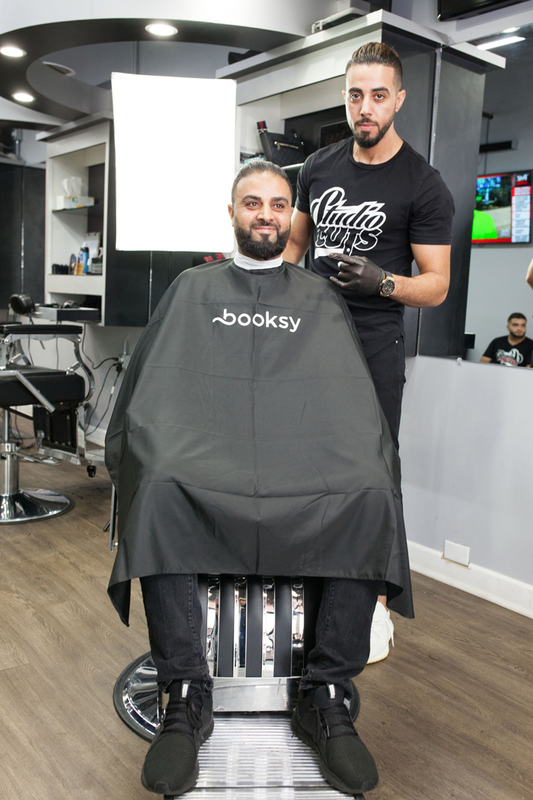 Check out our extended interview below the video to learn how Nour the Barber blew up on social media by pioneering a new service. It takes years of hard work to become an overnight sensation. When it happened to Nour, he wasn’t about to let his increased demand become a problem. So he signed up with Booksy. With over 300,000 Instagram followers, millions of views of his YouTube videos, and even a feature in Buzzfeed, Nour the Barber certainly qualifies as being famous. But unlike those Insta-thirsty barbers, he actually earned his notoriety by being a pioneer. Of course, we’re talking about his famous black wax treatments. Facial waxing for men was a rarity until Nour stepped in and changed the game. Today, it’s a service that generates a new source of income for barbers worldwide. Nour understood that facial treatments—especially waxing and threading—make even more practical sense for men than they do for women. This insight helped him achieve success both in his shops, and ultimately as a leading manufacturer of waxing products. But it’s the public’s fascination with how the process works that made him internationally famous. You’re the guy who really started the whole “black wax” facial treatment phenomenon. Where did you get the idea? It was something I learned back in the middle east, where it’s pretty common for men. When I started to post videos about it on social media, I was surprised when I saw how people in the U.S. reacted to it. They went crazy about it, because it was something they’d never seen. So what’s the black mask treatment all about? The black mask is to remove blackheads and unwanted hair. In the beginning, a lot of people took it as a joke, because it sticks to your face and after you remove it, you can see all the blackheads it pulled out. But this joke became serious when people realized how much better it could make their skin look. We also offer the gold mask treatment to reduce wrinkles, and a white wax treatment for hair removal. Start Your Free Trial With Booksy Today! What’s the biggest objection you’ve heard from men about facials? That they think it’s only for women. Getting a facial just means you want to look good. I have male clients who love getting facials, but they still don’t like to talk about it. Maybe you don’t want to talk about it, but when you get it done and look in the mirror, you’re going see a difference. How do you get men to try it out? When someone tells me, “It’s not for me, it’s just for women,” I tell them to look at it this way: women like you to look good, too. Getting a facial clears the oil, removes all the black spots that are living in your face, and reduces wrinkles. Do you think men are more comfortable trying something new (like getting a facial) in their regular barber shop rather than in a salon? Nowadays yes, but in the beginning it was hard because they would try to hide it. A lot of clients were like, “Can you make a private room when you do my facial?” But now everyone has started doing it and it’s out in the open. How did offering these services change your business? Offering more services gave me an opportunity to make more money. My shops are a part of my community, and it’s important for me to stay humble and keep my prices affordable. So instead of raising the price for a haircut, I offered more services. If you want a $20 haircut, you can spend $20 and leave happy. But if you want additional services, like a facial or threading, we can double or triple what we charge. What inspired you to launch you own line of products? 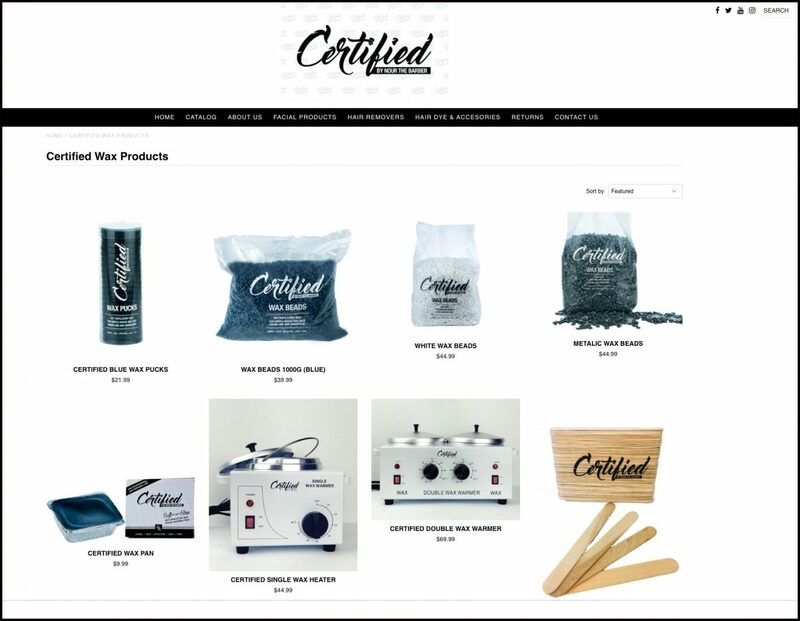 I started my company selling my Certified line of products because I wanted to help barbers make more money. If all you offer is a shave and a haircut, the amount of money you can make is very limited. But if you can offer a haircut, a shave, a facial, and a couple of masks, you’re not limited by just the price of your haircut anymore. Adding more services changes the game. You’re one of the most visible barbers in the world on social media. Was getting that kind of notoriety a goal for you? No, not at all. In the beginning I didn’t even trust social media. And my friends would make fun of me because I was like, “What is the purpose of you doing this?” But I wanted clients to find out about me, so I started posting my haircuts and services on Facebook and Instagram. One day, I did a really big interview and one of my videos went viral. I jumped from something like 20,000 followers to 150,000 almost immediately. Then, my very first video got posted on a Chinese page and got 80 million views. I decided to keep pushing and posting more and more. Your social media presence helped launch Certified into a global brand. But is there a downside to all the attention? Some people judge you when you get to this level, which can be tough. They can be like, “He’s a show off…Maybe he’s this, maybe he’s that…” That stuff can make me uncomfortable. I’m here for the community, and I want to feel comfortable. New Clients Can Find You On Booksy! Even with the success of the Certified brand, you’re still booking clients and cutting hair. Wouldn’t it be easier to just run the company and cash checks? It’s not about the money. Being a barber is something that I worked hard for, so I want to keep doing it. I love what I do. This is what I live for.